Men claim they don’t understand women, but perhaps they would if they had access to what’s inside ladies’ purses. “There are as many types of women as there are bags,” says Nathalie Lecroc, a French artist-archeologist. Lecroc has made it her mission to paint the contents of purses, from her grandmother’s beat-up cloth sac to Chanel handbags. 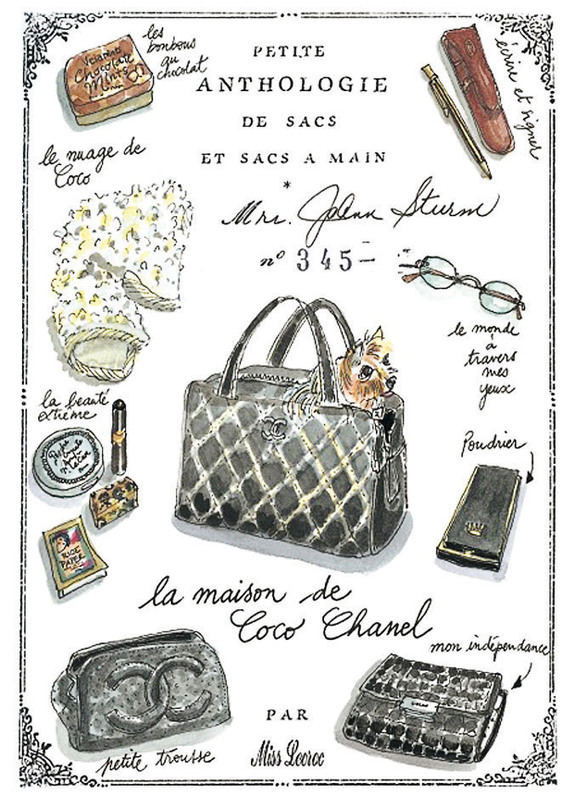 (Lecroc has even acted as artist-in-residence at various Chanel boutiques to illustrate customers’ bags.) She understands that a woman’s bag is sacred, and she treats them all reverently. Upon meeting, Lecroc has women empty their purses on a table and describe each object. She then illustrates each item in watercolour and names them—in one artwork, an iPhone is labelled as such, while in another, makeup is tagged as “war paint”. Lecroc retreated to the countryside 10 years ago, so she takes visitors less frequently than when she resided in Paris, and now paints from photographs of purses and their contents. Lecroc is a one-person operation and can be reached at pypaul@club-internet.fr; you’ll miss meeting her, but you’ll still receive a one-of-a-kind painting that reveals your soul.